I have to admit I’ve been on something of a Christmas buying spree lately. 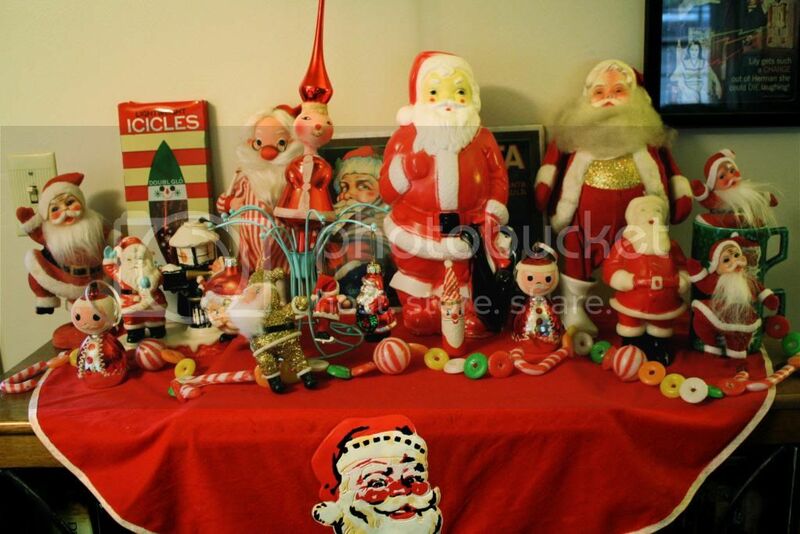 I just can’t resist all of the vintage Christmas decor that’s just so plentiful at this time of the year, especially now as it gets later in the season and things are often marked down. 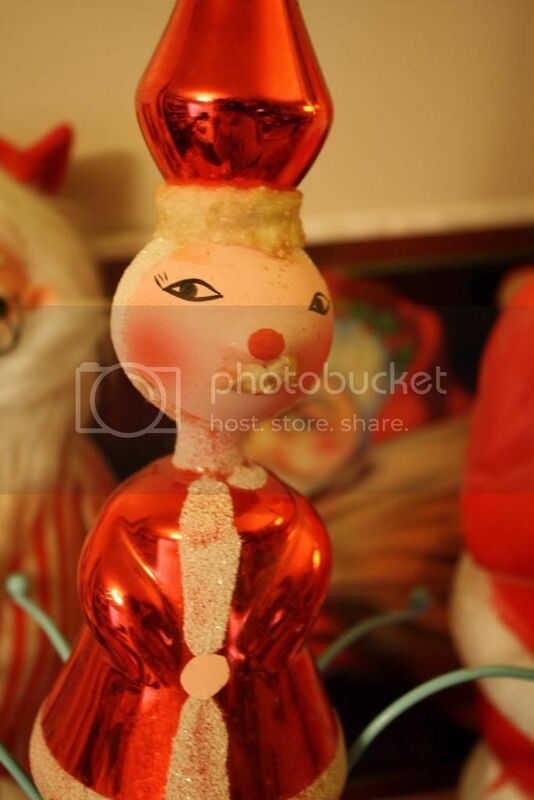 This has necessitated a second installment (see the first one here) of thrifty Christmas stuff, for your viewing pleasure! 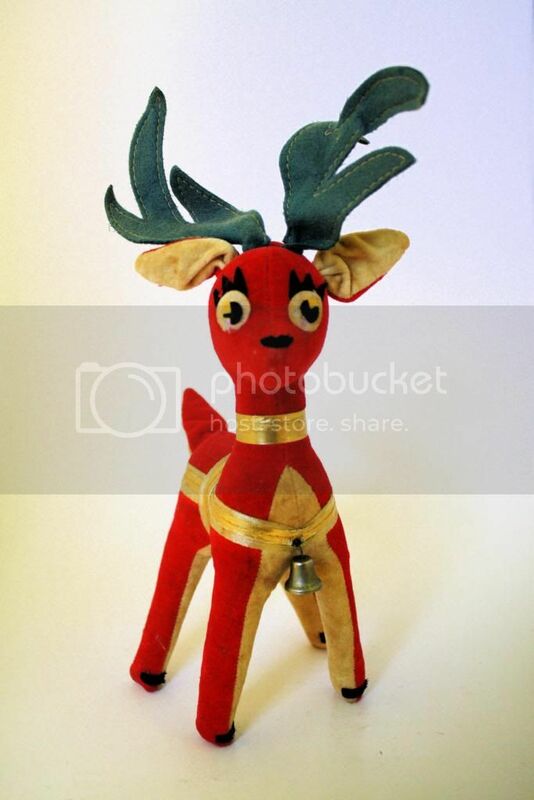 I just love this Dream Pets reindeer! I fell for him when I saw him on the thrift store shelf, but didn’t buy him for a day because of a somewhat high price ($8). However, the more I looked at him, the more I liked him, and I finally gave in and paid up! 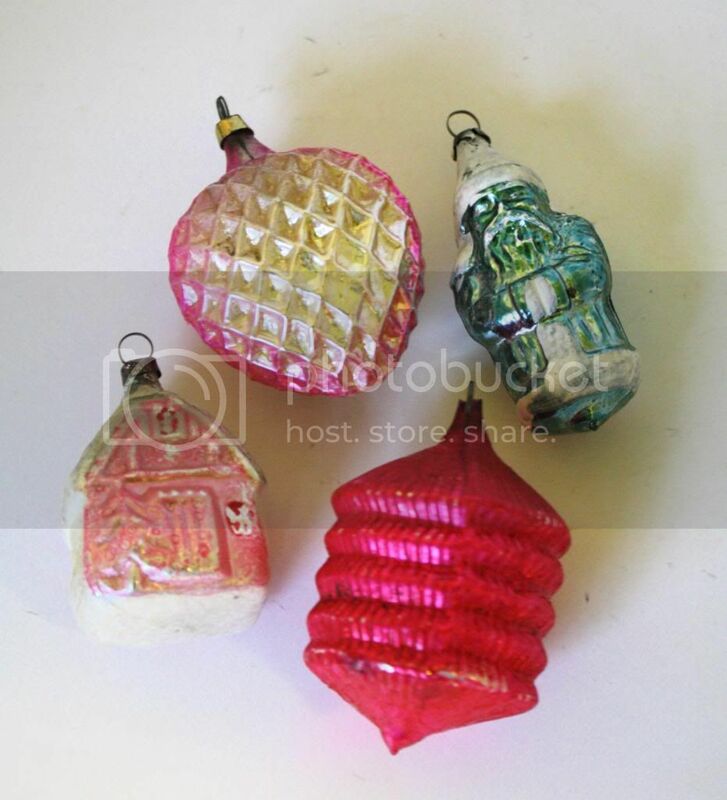 These vintage ornaments were too pretty to resist! 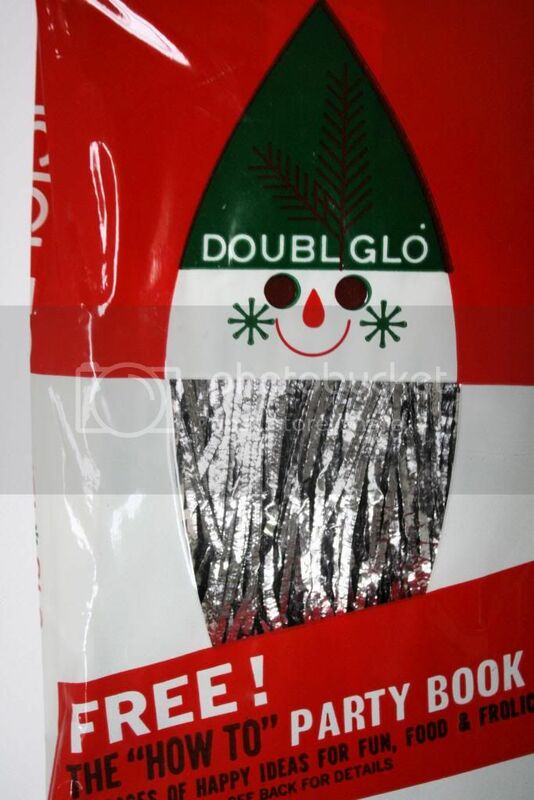 An unopened package of vintage “icicle” tree tinsel, complete with a “party book”! I would love to open it to check it out, but I’ll probably be selling this one. 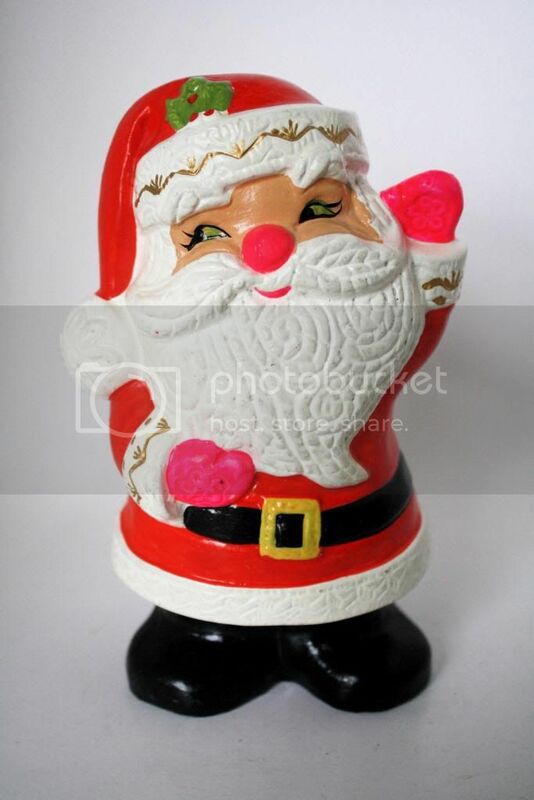 Another Santa statue, complete with hot-pink gloves and a cheeky expression! 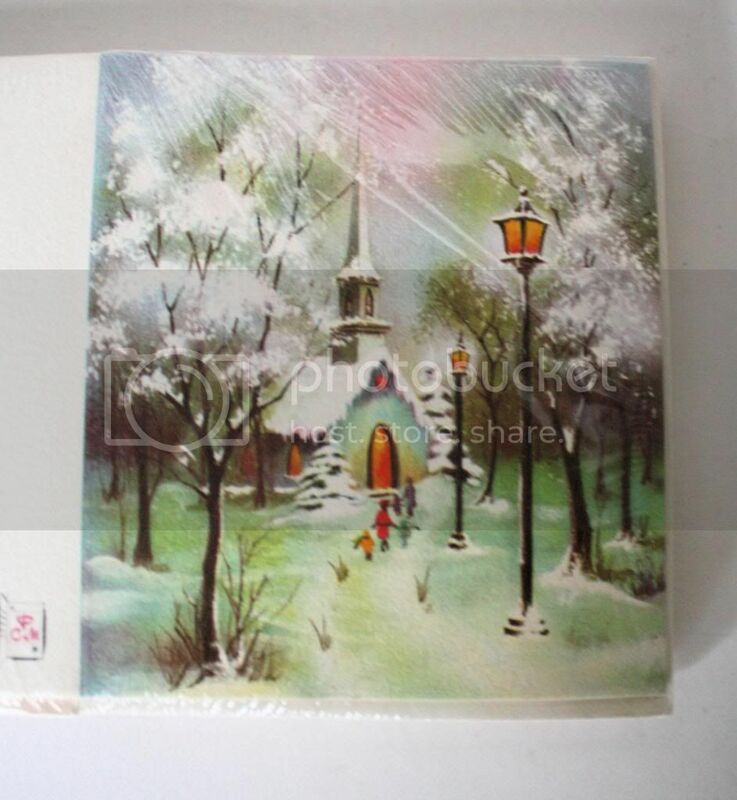 I came across several packs of these unused vintage Christmas cards. They’ll be in the shop asap! 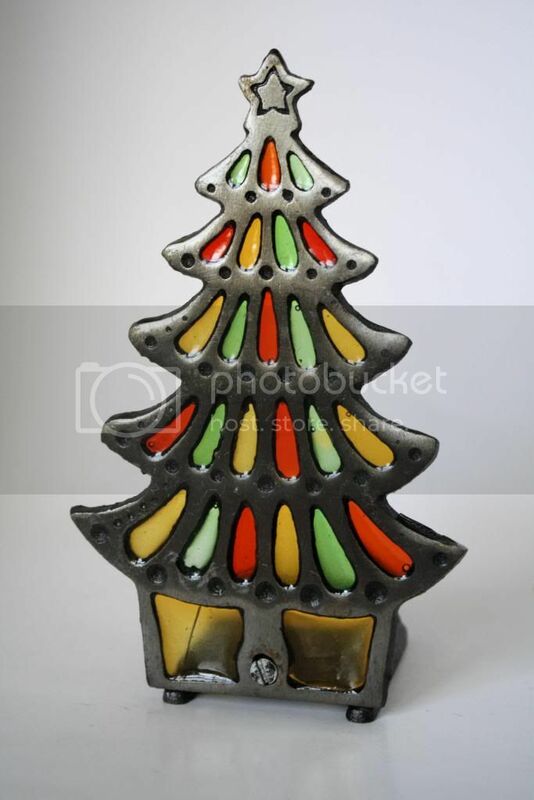 And a Chrismas tree votive holder. It’s gettin’ crowded in here! I just love this guy’s glittery gold chest and white “go-go-esque” boots! 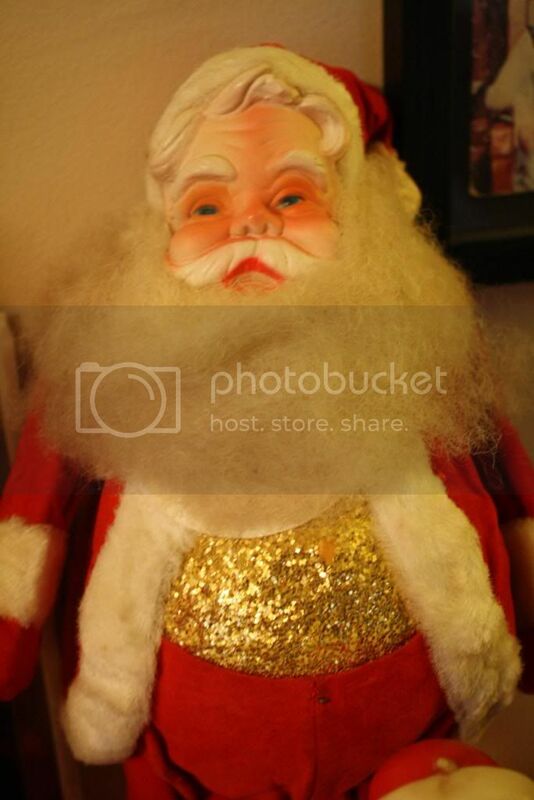 Phillip found me this amazing glass Santa tree-topper. It’s the first one like it that I’ve seen. (and he kinda looks like a mouse). 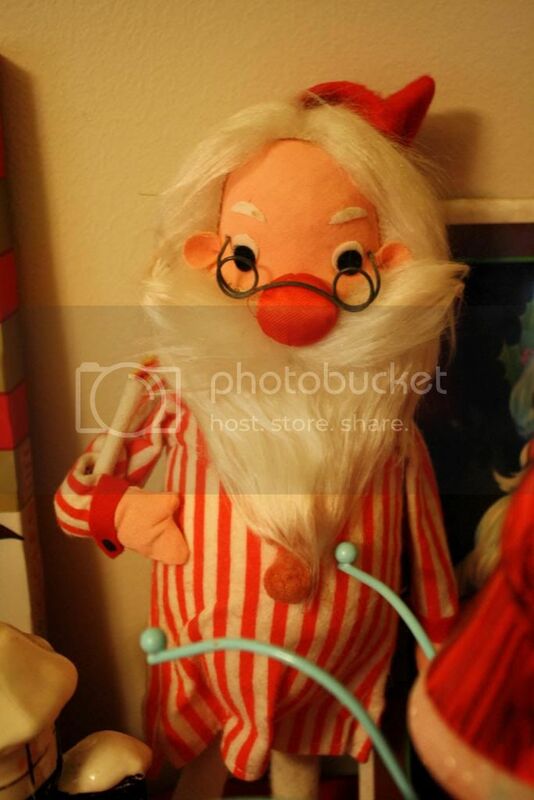 This cute pajama-wearing Santa was actually an antique-store find. He was just too cute to pass up! 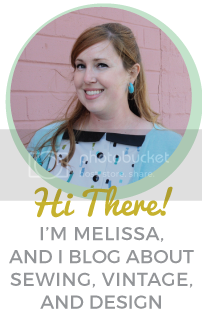 Thanks for checking out this week’s Thrifty Thursday post! 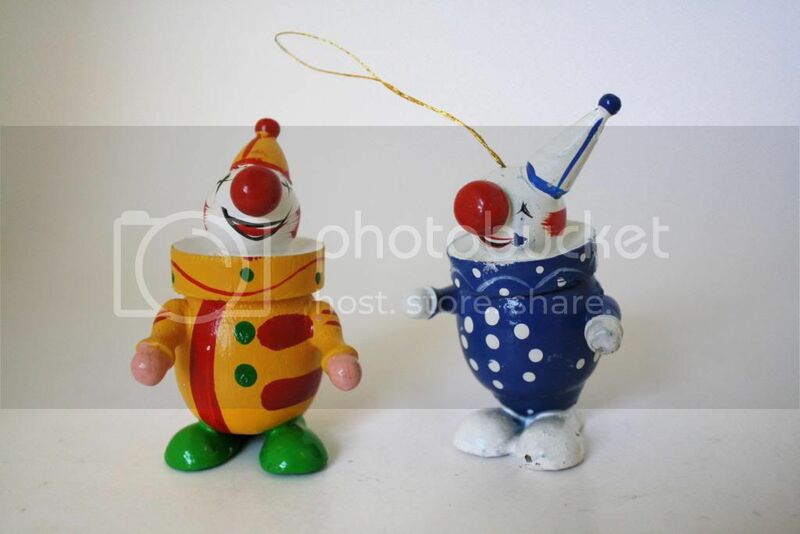 Oh, and here’s a bit of news: starting next month, Phillip and I are going to start selling in a local antique shop! It’s an exciting but scary prospect for a rookie like me, and I’ve been obsessively googling information and tips on antique selling and running a booth. Any advice is appreciated!